The system after the prolongation of tram line no.8 to Hardturm through a newly built stretch on Hardbrücke. Urban tramways: (horse-drawn): 1882 - 1896; (electric): 1894 - today. Forchbahn: (electric): 27 Nov. 1912 - today. Sihltakbahn: (steam) 1892 - 1924; (electric) 1924 - today. Uetlibergbahn: (steam) 1875 - 1923; (electric) 1923 - today. Dolderbahn: (funicular) 1895 - 1973; (rack-railway): 1973 - today. 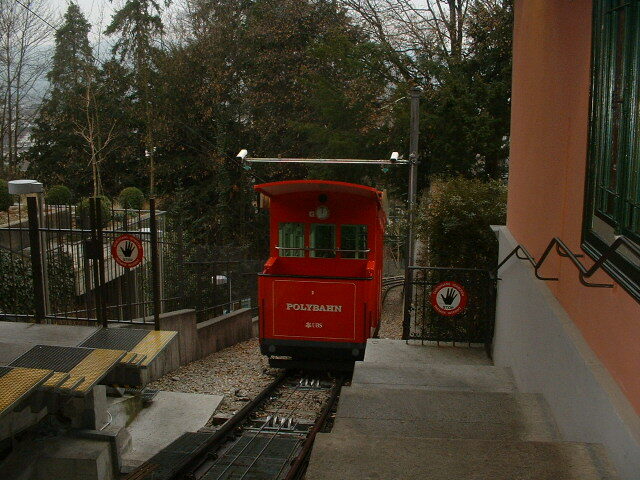 Polybahn (funicular): (water-driven) 1889-1897; (electric) 1897 - today. Seilbahn Rigiblick (funicular): 1901 - today. 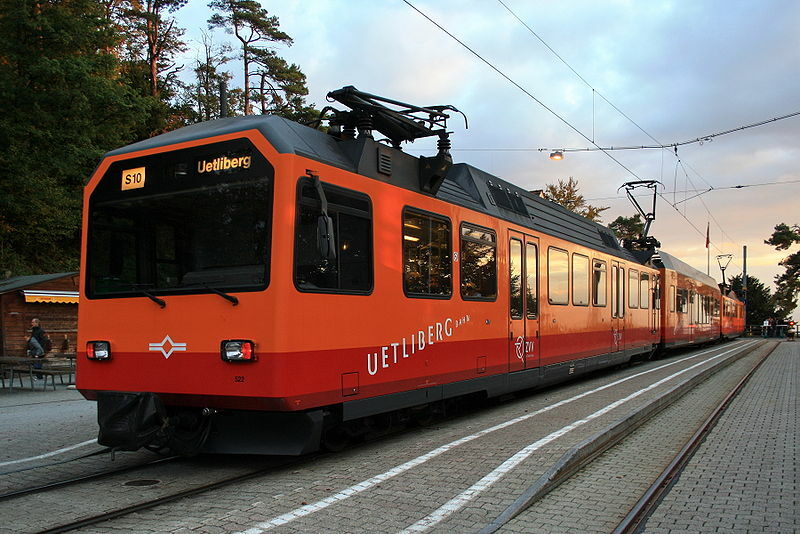 Sihltalbahn / Uetlibergbahn: 1435 mm. 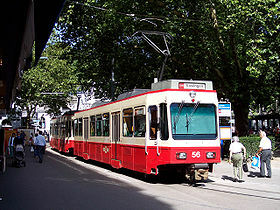 The Zürich Tram Museum has a large number of preserved trams. One of these historic trams is run through city streets, April to October, as Museum Tram Line 21. Brosteaux, M., Ulmann M. & Wiseman, R. "The trams return to Schwamendingen" Modern Tramway & Light Rail Transit., July 1986 (49:583), p.227-241. Moglestue, A. "The Cobra rules, all above ground" Tramways & Urban Transit, May 2005 (68:809), p.180-184. Moglestue, A. "Glattalbahn: Trams for a new city" Tramways & Urban Transit, Apr. 2009 (72:856), p.142-143. Moglestue, A. 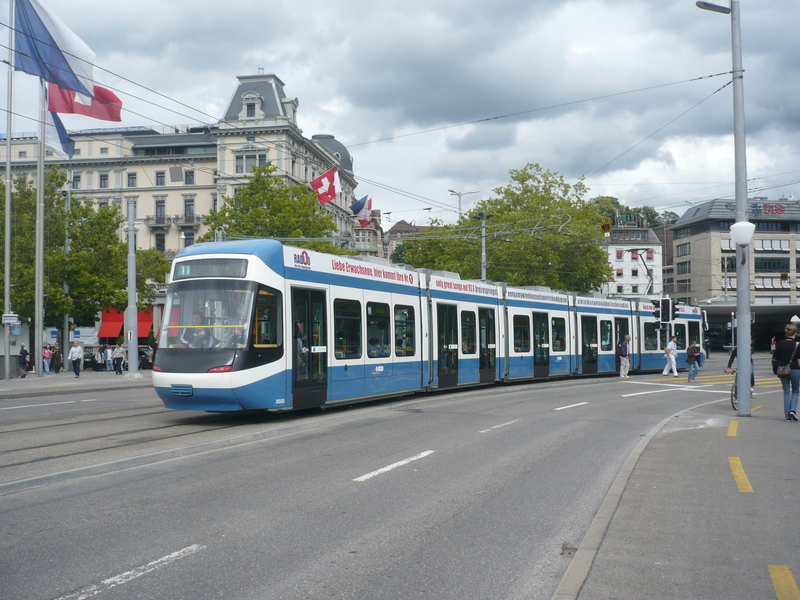 "Tram Zürich West unlocks regeneration" Tramways & Urban Transit, Aug. 2012 (75:896), p.300-301. Moglestue, A. 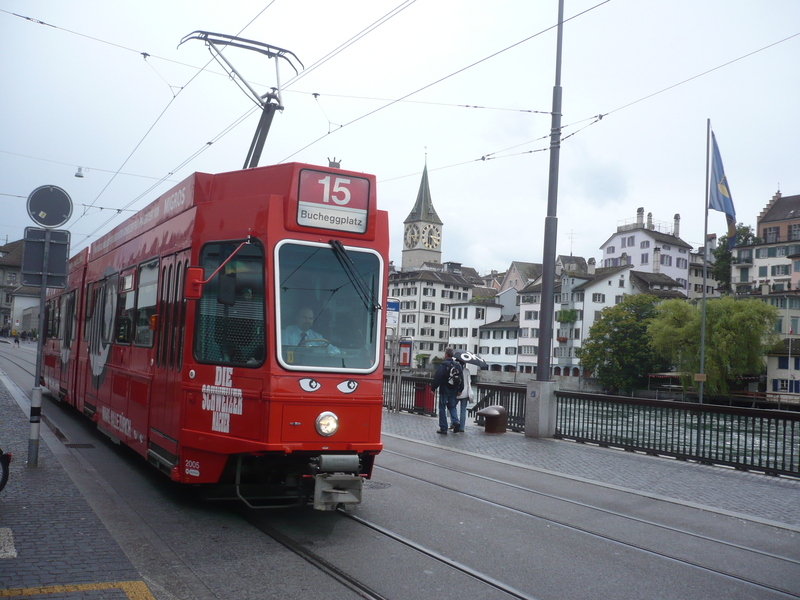 "Zürich: Top city - thanks to light rail" Tramways & Urban Transit, April 2005 (68:808), p.130-134. 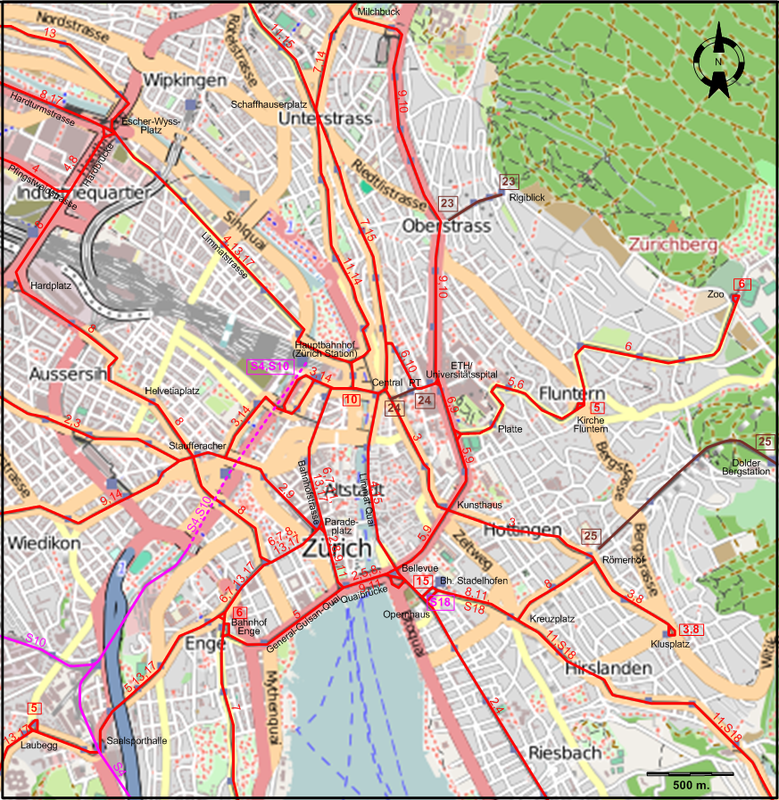 Pulling, N. "Systems Fact File No.133: Zürich, Switzerland" Tramways & Urban Transit, Nov. 2018 (81:971), p.422-428. "Systems Fact File No.17: Zürich, Switzerland" Tramways & Urban Transit, Feb. 2009 (72 :854), p.59-61. Taplin, M. "The Zürich way". In: Light Rail Review 3. London: Light Rail Transit Association, 2001 [p.5-11]. Trüb, W. Die Zürcher Strassenbahnen. Zürich: Eisenbahn-Amateur (Separatdruck), 1961/1978. Wansbeek, C.J. 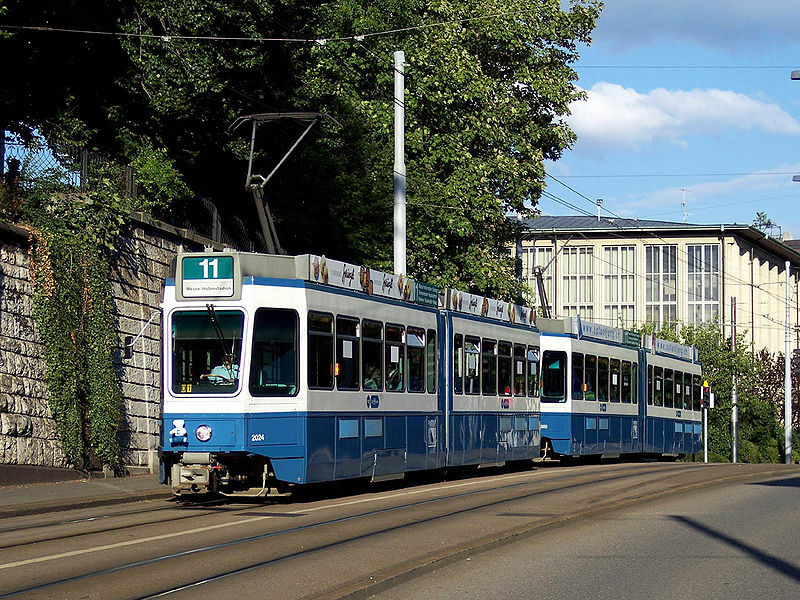 "Zürich plays the tram card again" Light Rail & Modern Tramway, July 1997 (60:715), p.253-255. Wyse, W.J. 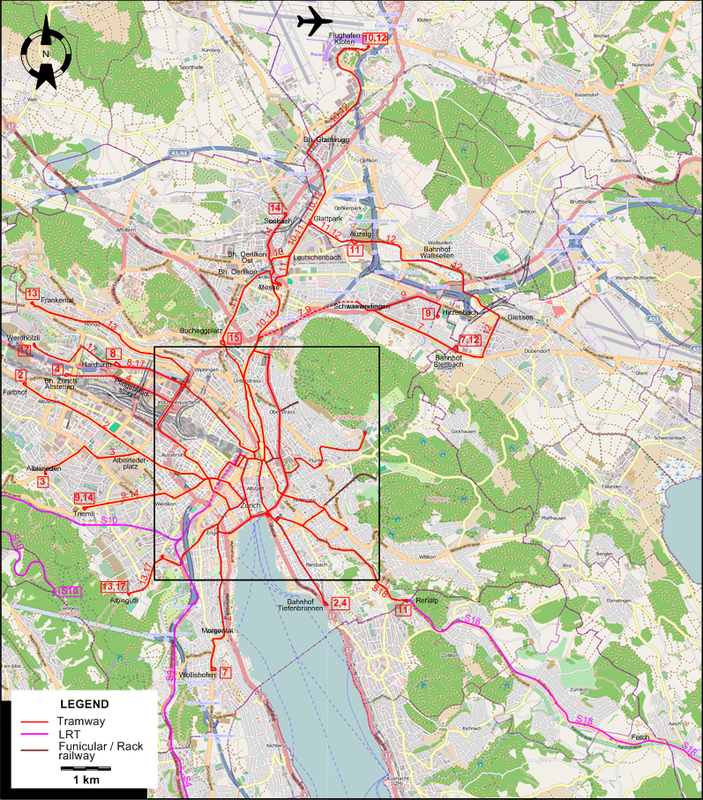 "Tram subways for Zurich" The Modern Tramway, Apr. 1961 (24:280), p.92-96.